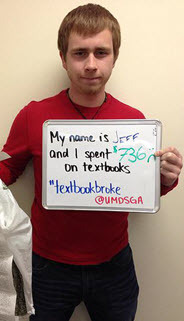 The Student Government Association partnered with the University Libraries to stock textbooks used in University of Maryland's top enrolled courses. Students can borrow these textbooks from the McKeldin Library Services Desk for four hours at a time, on a first-come, first-served basis. Click here to search for textbooks and courses included in this program. Through UBorrow and Interlibrary Loan (ILL), you can obtain books, articles, and other materials not held in the University System of Maryland and Affiliated Institutions (USMAI). While it is unlikely that you will be able to acquire the most recent edition of a traditional textbook, you may be able to borrow older editions or other required readings (e.g., novels for a literature class). Books borrowed through UBorrow usually arrive in one week and can be borrowed for 16 weeks; turnaround time and loan periods for ILL vary. Take advantage of websites that offer convenient price comparisons of online buying options like SlugBooks.com. Some websites, such as Ebates.com, also offer cash back on online purchases. 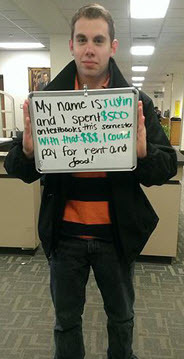 Consider purchasing used books and/or renting your textbooks. Bookholders in College Park is a great resource for renting and finding used books in good condition. Alternatively, consider the sell-back value of books to determine if you can get more money back from buying and selling later versus renting. Some websites may even guarantee a buy-back value for your book at the end of the year. Search for coupons and special discounts. If there are offers for purchases over a certain amount, consider if the savings are worth purchasing multiple books from one site. Consider buying e-books. Many times they are more affordable and convenient to access. 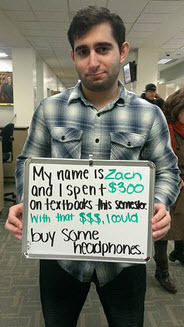 Try to buy your books from other students who have taken the courses. This saves you the shipping cost and usually is cheaper than purchasing from a store or online seller. In College Park, you can go to the University Book Center or Bookholders. 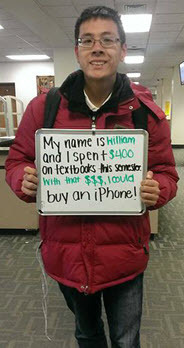 Online, you can search popular websites like Amazon.com and Chegg.com. 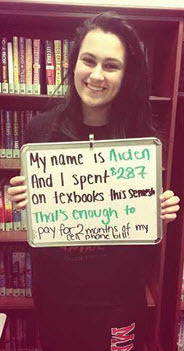 Check local bookstores and libraries to see if they stock your textbook, or if it is available on course reserves. Ask students and friends to see if they have a copy they would be willing to sell. 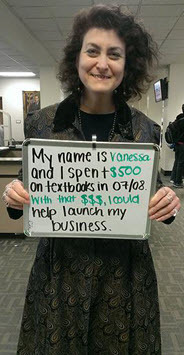 If you are having difficulty purchasing a textbook because of the cost, talk to your professor. They will help direct you to affordable options. Ask for permission to use an older edition of the text if one is available. Ask your professor to check if the book is available through the University Libraries on course reserves. Discuss open source educational materials with your professors. Be prepared with examples of open-source resources that are applicable to your course. Introduce open source textbooks and reading materials as an alternative option that is significantly more affordable for students. Be sure to emphasize the efficacy of the materials, as this is a paramount concern for educators.